The FT-ICR mass spectrometry lab can provide professional support to experiments in both academia and industry. 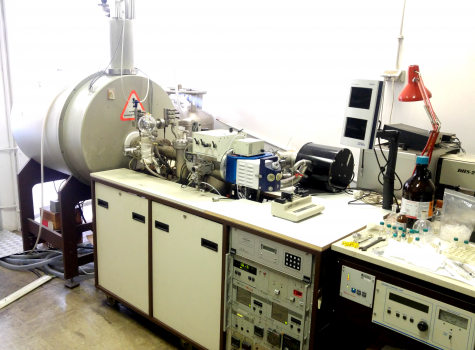 The laboratory, pertaining to the Department of Pharmaceutical Chemistry and Technologies of the Università di Roma “La Sapienza”, is equipped with an FT-ICR mass spectrometer (Bruker Apex II, 4.7 T) that is available for both analytical and fundamental research purposes. Mass Spectrometry is nowadays in very common use in laboratories that focus on physical, chemical, or biological properties of a great variety of compounds in various matrices and the mass spectrometer is a powerful analytical instrument which can generate a collection of gas phase ions from the sample of interest, separate the produced ions according to their mass-to-charge (m/z) ratios, and provide output signals (peaks), indicating the m/z ratios and intensities (abundances) of all the detected ions. External users are invited to submit a detailed description of their project. A customized plan will be set to meet the research requests. Prospective users can also send an email for inquiries. The instrument is not available for student hands-on use. Direct access to mass spectrometry training, expertise and instrumentation is available on the other mass spectrometers run by the research group lead by profs. Fornarini and Crestoni (Ion Trap Bruker Esquire 3000+ mass spectrometer and API 2000 Applied Biosystems triple quadrupole mass spectrometer). The FT-ICR mass spectrometer is capable of analyzing organic/inorganic molecules using EI, CI or ESI. It is capable of doing both mid resolution, full mass range scans, as well as high resolution, exact mass measurements. The exact mass measurements are generally accurate to within 1-2 ppm on positive ions for masses up to 1500 Da.